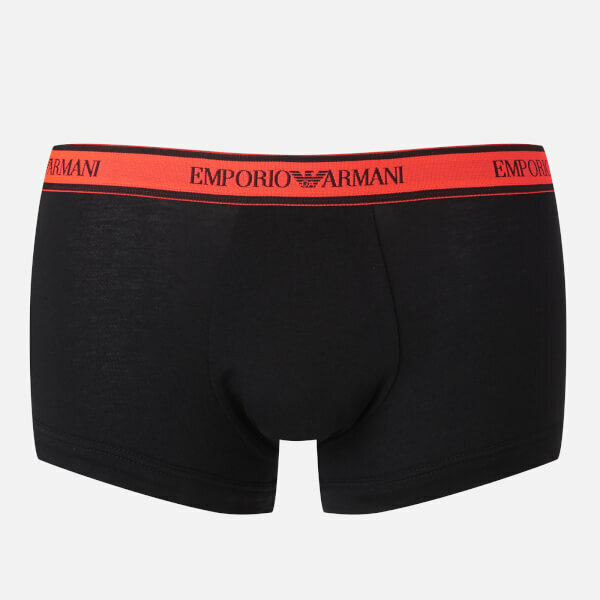 Stretch cotton boxer shorts from Emporio Armani. The pack includes three pairs of black boxers, each with a contrasting logo waistband and a contoured pouch for comfort and support. Tonal stitching.